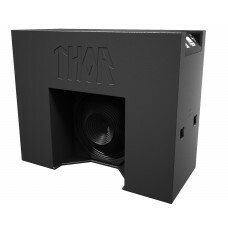 THOR — the most advanced cinema subwoofer in the world, designed to bring unparalleled cinema experience. 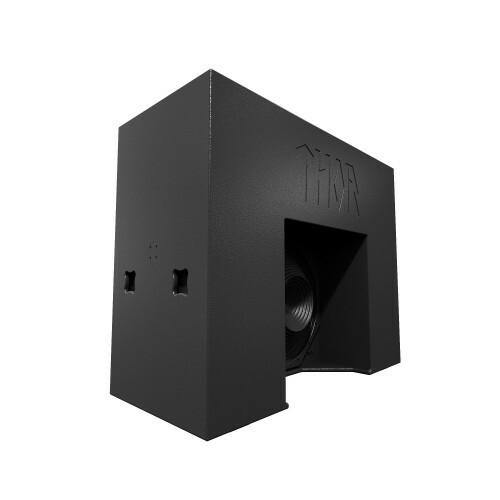 With frequency range extending from 18 to 120Hz and SPL peaking at 145dB, THOR reproduces cinema track features beyond capabilities of conventional subwoofers. THOR features innovative M-Drive® amplifier with tremendous power headroom, thus providing exceptional sound pressure and 5000W of nominal amplifier power. Rigid, heavily reinforced enclosure was made as slim as possible to fit into the limited behind the screen space. THOR is based on the M-Force ® technology from Powersoft ®. M-Force ® is an innovative and unique transducer based on patented moving magnet linear motor structure. Unbelievable performance in terms of power handling, electromagnetic conversion, reliability and maximum SPL are a few of the innovative features and improvements with respect to conventional moving coil arrangement. 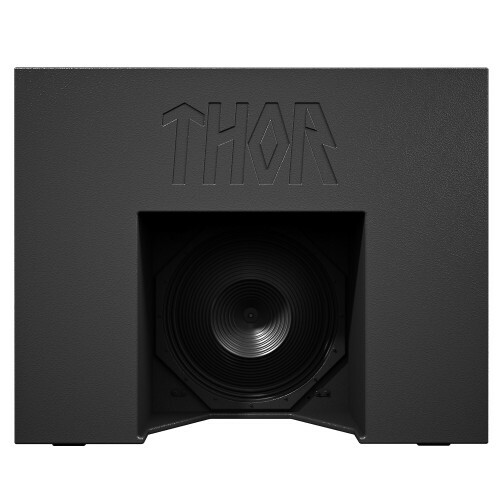 With such an advanced driver at its heart, THOR was created to decisively surpass the listening expectations of demanding moviegoers, while providing SPL and reliability far beyond capabilities of traditional cinema speakers.